The International Association of Ports and Harbors (IAPH) has joined the World Shipping Council, the International Chamber of Shipping (ICS), and the Baltic and International Maritime Council to encourage the International Maritime Organization (IMO) to amend the Safety of Life at Sea Convention (SOLAS). The measure would ensure that a ship and port facility have a container's verified actual weight as a condition for carriage. The announcement comes as the IMO's Dangerous Goods, Solid Cargoes, and Containers subcommittee, which is responsible for container stowage and ship operations safety, continues its efforts to construct a SOLAS requirement that loaded export containers have a verified weight prior to vessel loading. 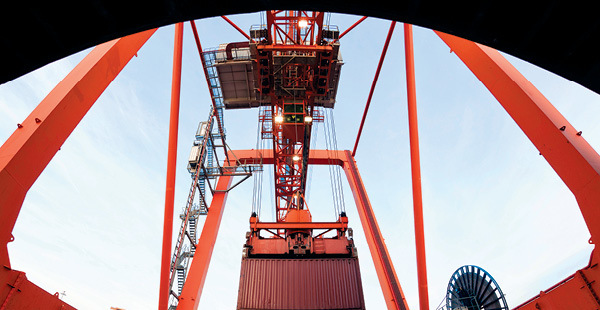 "Weighing containers to confirm their actual weight is the right operational and safety practice," says Dr. Geraldine Knatz, president of Tokyo-based IAPH and executive director of the Port of Los Angeles. "There is substantial experience with such a requirement in the United States, demonstrating that this is feasible on a technological and commercial basis.